University of California, Irvine medical student Sarah Mae Smith has been elected the next student member of the American Medical Association (AMA) Board of Trustees. Smith will assume her position on the board in June 2019. “I am honored and humbled to be elected by my peers as a member of the AMA Board of Trustees,” said Ms. Smith. “The [AMA] Medical Student Section has had a profound impact on AMA policy over the past several years, and, as the youngest member of the board, I am looking forward to continuing to shape policy that will empower and support the next generation of physicians and unlock the promise of a healthier nation. I am especially excited to support the AMA's efforts to pursue health equity and foster diversity in medicine." Smith has been a member of AMA and the California Medical Association since she began medical school in August 2013. She is currently serving her second one-year term on the AMA Council on Medical Service and chairing the Council’s Committee on Health System Reform, where she has helped produce reports on a variety of issues, including improving affordability in health insurance exchanges, ensuring marketplace competition and health plan choice, and financing of long-term services and supports. Smith also served as one of three liaisons to the AMA’s Council on Science and Public Health during the preparation of the Councils’ joint report for Interim 2018. 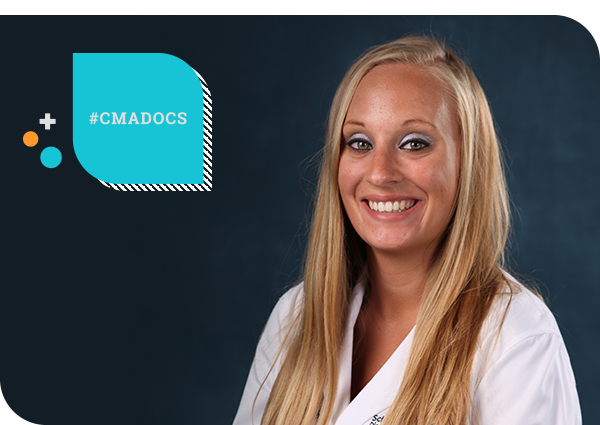 Additionally, she has served in numerous positions with the AMA Medical Student Section, including as MSS Delegate on the Governing Council, House of Delegates Coordinating Committee Chair, and Reference Committee member. She has also been involved in the AMA Women Physicians Section, including as a Reference Committee team leader for the Handbook Review Committee and a Policymaking Committee member. Smith also serves on the CMA Council on Medical Services, which studies and makes recommendations concerning medical service financing and delivery, cost and quality reporting, insurance and reimbursement. She previously served on the CALPAC Board of Directors and CMA Council on Legislation. Smith earned a Bachelor of Arts with Honors in Neuroscience from Johns Hopkins University, and is currently attending the University of California, Irvine School of Medicine where she is pursuing her Ph.D. and M.D. in the Medical Scientist Training Program. She is completing her Ph.D. dissertation in the laboratory of Charles Limoli, Ph.D., where she is studying potential therapeutic interventions for irradiation- and chemotherapy-induced cognitive dysfunction.